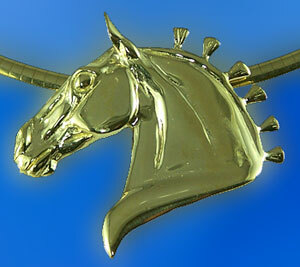 Beautiful Draft head pendant great for anyone who enjoys a slightly larger breed of horse. 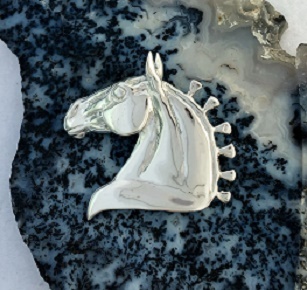 I know it is very hard to find Draft horse jewelry anywhere. Here you won't have that problem. We have a fantastic selection for anyone to enjoy. Please that special someone in your life with this exciting new Draft head design. Dimensions: 1 5/8 inches wide x 1 1/2 inches tall. Have it your way, request any color gemstones in the braids to represent your barn colors. Prices will vary depending on the stones, special request box located below.